Inspired by the many small wonders in life, Curiosities invites you to explore the world around you. A sophisticated color palette with a vintage twist transports you to a whimsical garden. This collection is dedicated to my bunny George, who is ever curious. For wholesale information, please contact Art Gallery Fabrics. If you're a shop carrying Curiosities, please let me know and I'll list you below! 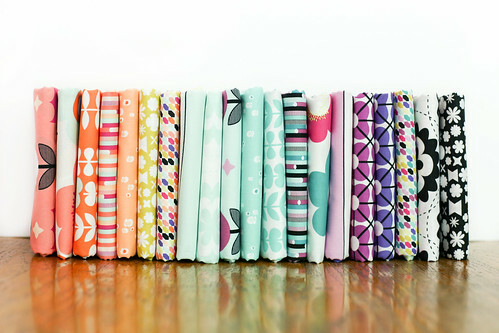 Make sure to tag your Instagram & Twitter posts with the #curiositiesfabrics hashtag! A blissful collection of folk inspired florals and edgy geometric prints full of movement. Explore bold color combinations and design that’s a perfect mix of modern and retro. For wholesale information, please contact Art Gallery Fabrics. If you're a shop carrying Geometric Bliss, please let me know and I'll list you below! Make sure to tag your Instagram & Twitter posts with the #geometricbliss hashtag! Inspired by bed linens from the 50’s and 60’s, Dreamin’ Vintage invites you to remember the past. 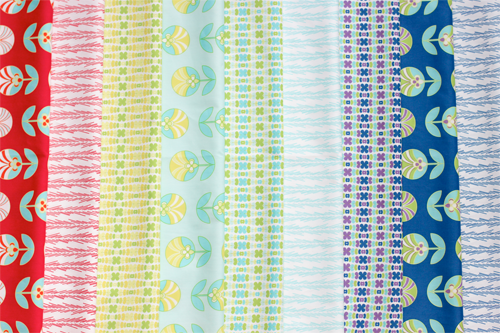 Cheerful florals and cool geometrics play together in this fun retro collection. For wholesale information, please contact Art Gallery Fabrics. If you're a shop carrying Dreamin' Vintage, please let me know and I'll list you below! Make sure to tag your Instagram & Twitter posts with the #dreaminvintage hashtag! Fall deep into the Scandinavian countryside with this rich collection, where meadows meet the sea. Sweet florals & bold geometrics collide to tell the story of Nördika. 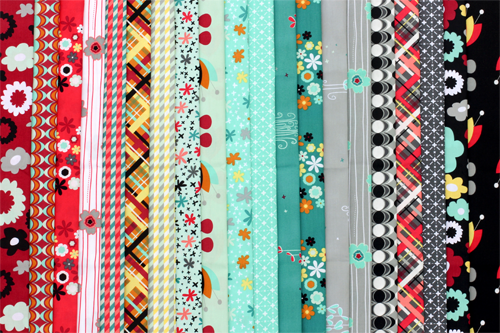 NORDIKA Fabric Collection by Jeni Baker from Art Gallery Fabrics on Vimeo. For wholesale information, please contact Art Gallery Fabrics. If you're a shop carrying Nordika, please let me know and I'll list you below! Make sure to tag your Instagram & Twitter posts with the #nordika hashtag! Inspired by retro kitchenware from the 1950s, Color Me Retro invites you to paint your life with its bright, fresh combinations of lime green, royal blue, and raspberry red. 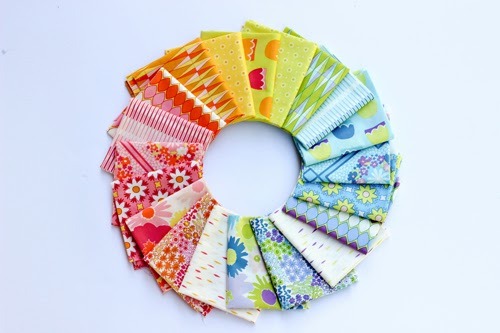 COLOR ME RETRO Fabric Collection by Jeni Baker from Art Gallery Fabrics on Vimeo. For wholesale information, please contact Art Gallery Fabrics. If you're a shop carrying Color Me Retro, please let me know and I'll list you below! Make sure to tag your Instagram & Twitter posts with the #colormeretro hashtag!